The violent demonstrations that have rocked Venezuela for weeks are threatening to wipe out what little democracy is left here after 15 years of systematic erosion by the state. The government of Nicolás Maduro has responded with massive military force, raiding offices and houses without judicial orders, imprisoning civilians in military compounds and applauding the killing of protesters by paramilitary groups. 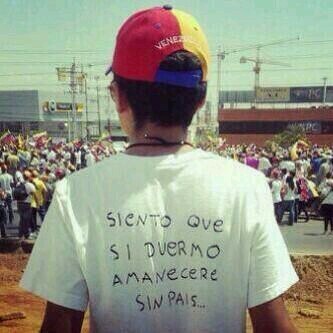 Yet the riots do not portend a Venezuelan Spring. For the government they are a welcome deflection of public attention from a faltering economy and rising crime. They may even invigorate this flaccid dictatorship. The turmoil started on Feb. 4, after the sexual assault of a student ignited a protest on a university campus near the Colombian border. The National Guard responded with disproportionate force, and demonstrations multiplied throughout the country. A lot of rage was waiting to explode. In Mr. Maduro’s first year in office, Venezuela has experienced urban violence and shortages of basic goods usually associated with wartime. The annual rate of inflation, which exceeds 56 percent, is one of the highest in the world. By March 5, when Mr. Maduro’s more-military-than-civilian government commemorated the first anniversary of the death of its revered comandante, Hugo Chávez, close to 20 people had died and more than 1,000 had been detained. Most of the prisoners were released within days, but some alleged being raped and tortured. Today, large rallies continue in the middle-class neighborhoods of all the main cities. The protesters, in a gesture mixing anarchic defiance and self-defense, block the streets with makeshift barricades, or guarimbas, and set them on fire. That only invites more violence from the National Guard and the colectivos, the Chavistas’ civilian militias. By creating traffic jams and keeping bread and other basic groceries out of shops, the guarimbas also increase tensions between protesters and ordinary citizens. As I was writing this article, smoke filled the streets outside my family’s apartment; barricades were smoldering after another battle between protesters and the public forces. But we were lucky. In other neighborhoods, the National Guard and colectivos barged into buildings to come after protesters, arresting not just the hooded teenagers but infuriated housewives who insulted them for charging after demonstrators. At this point, nobody — no political party, no social movement, no one leader — is in charge of the protests. The demonstrations have created a political crisis all right, but it is a crisis less for the government than for its opponents. After years of struggling to forge a coalition, the opposition seems divided again. Beyond the students who started the protests, there are two main strands within the opposition. One is a group of hard-liners led by María Corina Machado, a congresswoman from an opposition stronghold in Caracas, and Leopoldo López, a former mayor of the anti-Chavista neighborhood of Chacao. They want the government to fall; their crowd is active in the streets and spews insults on Twitter at Chavistas and moderate anti-Chavistas alike. (Mr. López has been in military custody since Feb. 18 on charges of inciting violence.) Another opposition force is trying to keep alive the Mesa de la Unidad Democrática (Democratic Unity Roundtable), an umbrella group of anti-Chávez parties that believes in institutional politics. At this point the radicals seem to be the most popular among protesters; they certainly are the loudest. And the more they scream, the more the security forces beat up demonstrators, and the more barricades the demonstrators set on fire. The situation is wildest in Táchira, where the uprising began and where violence and the scarcity of household goods have been more widespread for longer than in the rest of the country. There, the protests have spread from middle-class neighborhoods to the slums. Occasionally, a fighter jet crosses the sky. Still, the revolt in Venezuela isn’t some Latin American version of the Arab Spring. Just one National Guard soldier has been killed so far; the demonstrators are not going after state forces. Instead, they build barricades and burn them, and cry out that they won’t accept a Cuban-style dictatorship. There is no group backing Venezuela’s protesters like the Muslim Brotherhood, with a platform, a network and the logistics to overthrow the current government. Despite what the Chavistas in power claim, repeating the tired leftist line about American meddling, these rallies and riots are not a conspiracy to topple an elected government. The hard-liners in the opposition who want regime change cannot drive Mr. Maduro from office, much less replace the sprawling Chavista establishment. The military remains firmly aligned with Mr. Chávez’s heirs. The government shows no sign of buckling; nothing, its officials insist, can stop Mr. Chávez’s socialist revolution. If anything, the protests may inject new energy into a weak and inefficient dictatorship. The government seems to be biding its time until the silent majority gets impatient with the protesters. It is trying to borrow more money from China, its newest key ally, to restart the economy. It also appears to be reaching out to local business captains in the hopes of reviving agricultural production and industrial activity.